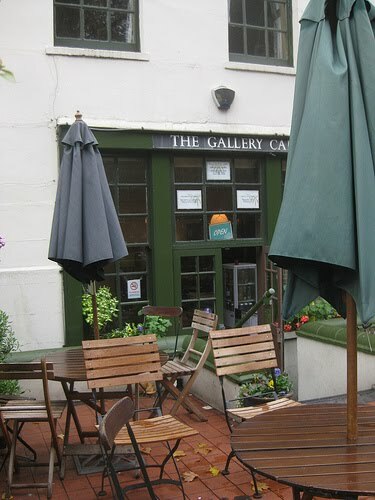 Tonight, the Gallery Cafe in Bethnal Green have kindly offered to lend a space for the Tired of London, Tired of Life book launch, to which you all are invited, so it is only polite to explore a bit of the interesting history of their parent body, the St Margare's House Settlement. Founded in 1889, the Settlement is a charitable trust, established to support local community groups and offer them space for their projects and activities. This includes office space for some organisations, as well a meeting rooms, a hall for events, a garden and the fantastic Ayoka Charity Shop, the Create Place and the Gallery Cafe. Your author is a big believer in the value of usable space for a community, and that is why he is such a big fan of St Margaret's House. For well over a century, they have provided support to a range of community projects and organisations, from their base in Bethnal Green, and long may they continue to do so. Now I wish I lived in London. Fantastic place to have an exhibition, join in & have a great time. Wonderful space. Great post - St. Margaret's House is ace! Ayoka is my favourite.